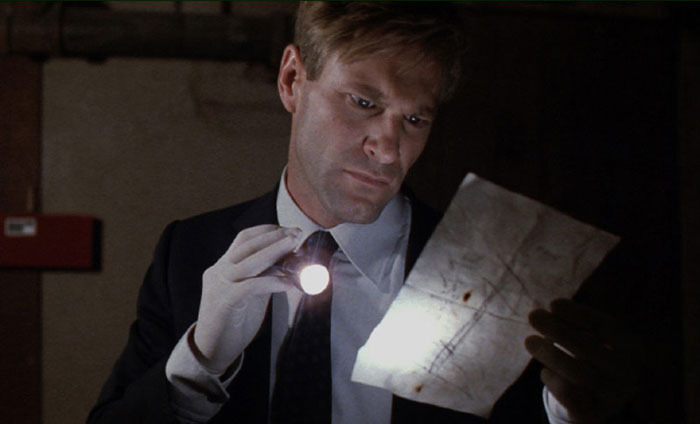 Aaron Eckhardt is Thomas Mackelway, an FBI agent with a past, who is sent to Albuquerque to investigate the murder of a traveling salesman found with a zero etched on his body. When other bodies start appearing - all serial killers - Mackelway is led to a retired FBIer named Benjamin O'Ryan (an ever superb Ben Kingsley), who has the ridiculous/silly (take your pick) skill of being able to 'see' what serial killers see. Rolls eyes. Directed by E. Elias Merhige, this is a thriller built in the Seven-style and has Carrie Anne Moss stumbling around - looking pretty granted - as Mackelway's sidekick. The hokeyness aside, Suspect Zero is engaging for the most part by fails ultimately as it can't decide who's story to tell - O'Ryan or Mackelway's.